Genuine Original Equipment Manufacturer (OEM) parts! 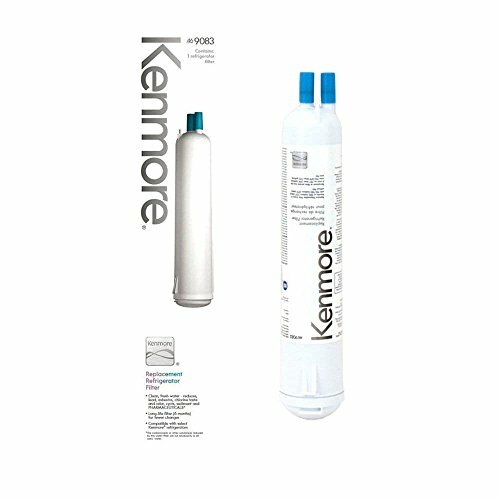 Kenmore water filter 9083 has NSF 42, 53 and 401 certifications. It reduces lead and other metals; chlorine taste and odor; volatile organic compounds (VOCs); and some pesticides and pharmaceuticals. Water filter 9083 is for select Kenmore side-by-side refrigerators. Replace every 6 months, or more often if water flow slows noticeably. Follow package instructions when you install this genuine Kenmore water filter. Previous part numbers: 9020, 9020B, 9030, 9030B.